Need the gear. 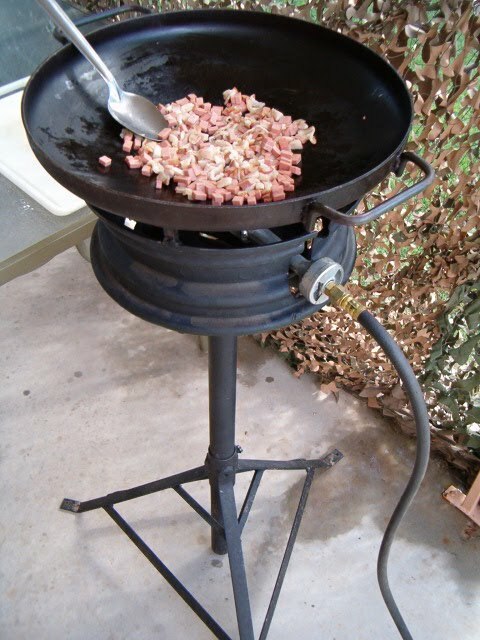 My all time favorite welding project..........my discada burner. You couldn't pay me enough to sell it. Okay, well maybe you could. But it won't be cheap! 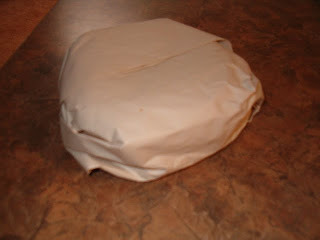 The best and freshest corn tortillas come in paper...........not plastic. These are only an hour old. 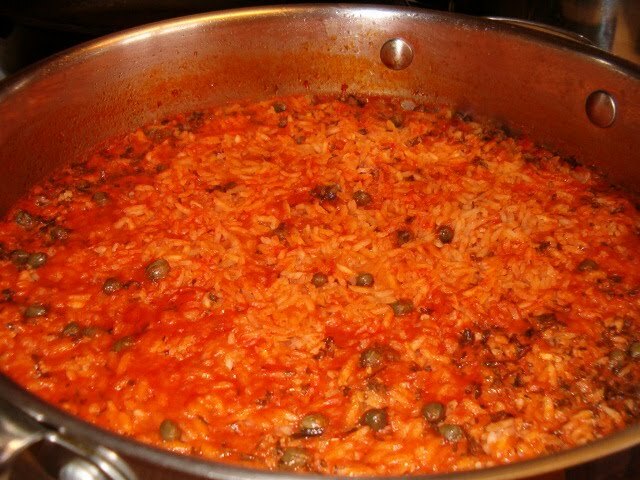 I'm thinking some Spanish rice as a side. All done and tossed in a few capers. I love capers. 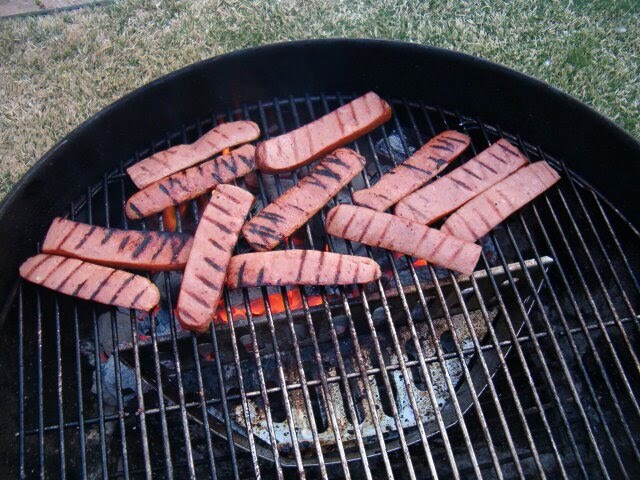 Bacon and chopped beef franks. Note the grease hot tub. 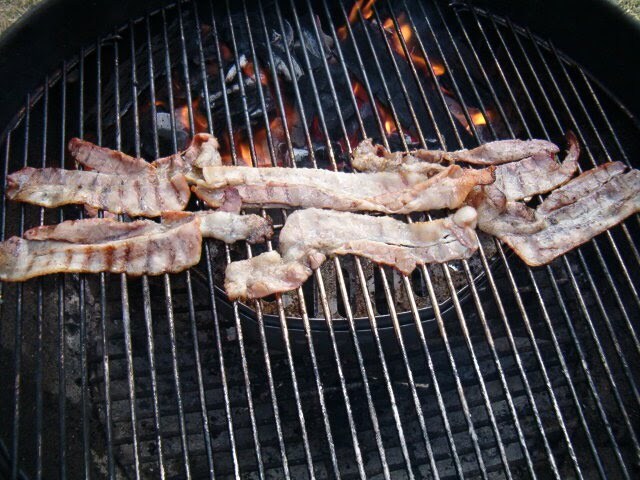 That lil bit of meat don't wanna come out! More fats. The spicy kind. 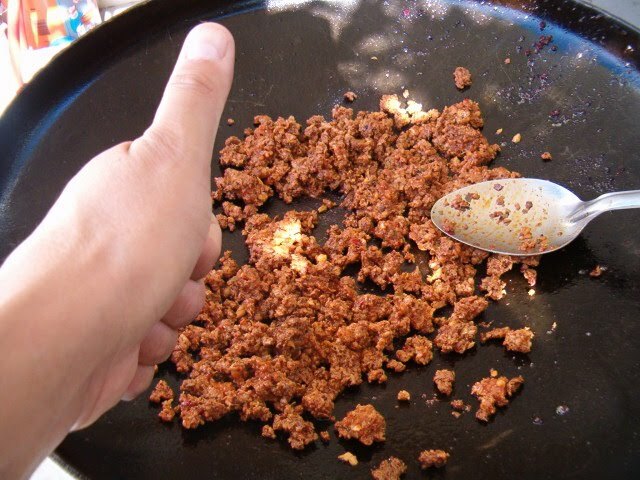 Chorizo. 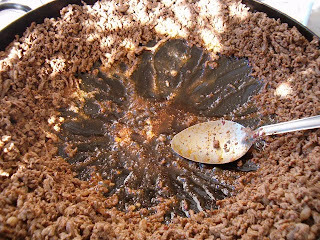 Discada meat getting browned. You need to remove the moisture out of it with a long simmer. The grease is still in there along with a half can of cerveza! 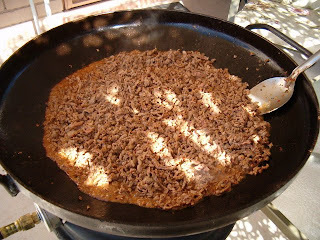 Browning the beef and letting the grease drain. Dinner is served! Here's my plate. Wifey made a special treat for dessert. Can ya spot it? Get yourself a plow disc and get to cooking up some DISCADA! There's no better, or more flavorful, way to feed a large group of people................for CHEAP! 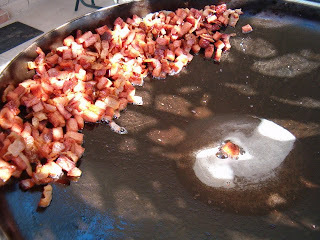 The tradition of cooking on a disco (Spanish for disc) goes back a very long time. Before the convenience of gas stoves, it was the traditional method of cooking for Mexican families. It's versatility allows you to stir fry, deep fry and even shallow boil and steam food. 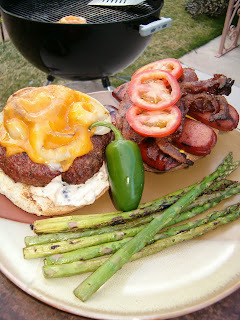 Check out my article in Smoke Signals Magazine a BBQ Brethren Publication. Refer to Issue 5, pages 18-21. Njoy and Buen Provecho! Just in time for the holidays. 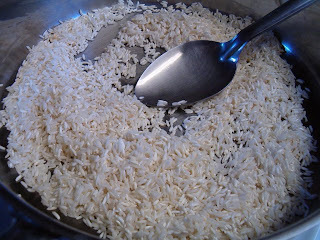 Check out my step by step article about tamale making in "Smoke Signals" magazine. Refer to Issue #2, pages 38-40. There is nothing more primal than building a fire with your bare hands and then cooking a meal over the live flames and scorching coals. The sizzling sound of a thick steak hitting a red hot grate over a bed of coals or the slow bubble and boil of a Dutch oven full of steamy, aromatic chili just simmering away does wonders for the senses and the appetite too! While many have transformed this form of cooking into a precise and “smokey” science, a novice can just as easily create a flame kissed meal with the help of a few simple tools. A quick internet search will quickly pull up numerous results to help an individual get on their way to taming the flame and cooking a succulent outdoor meal! My online search led me to the Lodge Manufacturing, Co. “Founded in 1896 by Joseph Lodge, this company is the oldest family owned cookware foundry in America.” It’s also a great place to search for some holiday gift ideas. A must have for any outdoor cooking enthusiast should be a camp Dutch oven. Dutch ovens allow the user to go from deep frying breaded catfish to stewing and roasting Texas style chili and whole chickens and even baking a blueberry cobbler, as well. The simplest of Dutch ovens are made from cast iron while fancier models are even porcelain coated. They also range in size from a petite 1 quart capacity/7” diameter models up to 12 quart/16” diameter behemoths! One quart models list for a reasonable $43.95 plus applicable tax and shipping charges while the larger capacity, 12 quart, model goes for $174.95. While this is no small chunk of change, keep in mind that if cared for properly, your Dutch oven will probably outlast you! 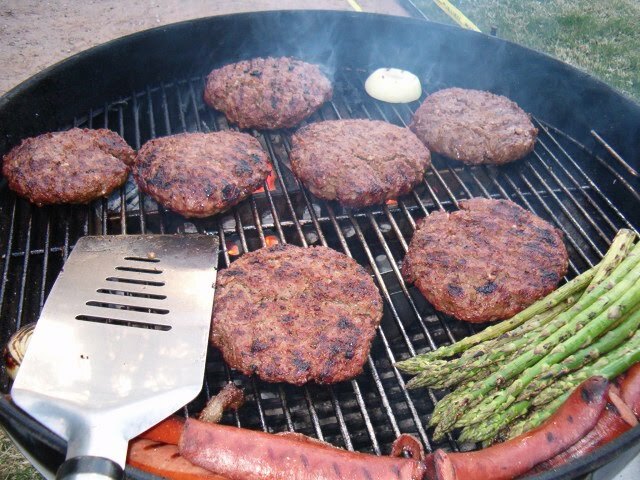 The most common size is the 8 quart/12” diameter oven. It can easily perform all of the intended uses and makes for easy storage and portability. Cast iron requires specific care to keep rust at bay so be sure to follow the recommendations for care and cleaning. Two recommended accessories for any Dutch oven are heavy duty leather gloves and a lid lifter. A lid lifter provides a safe way to manipulate the oven’s heavy lid and retails for $14.95 on Lodge’s website. A thick, heavy duty pair of Dutch oven gloves or even welder’s gloves are advised to keep your hands safe. A basic pair through Lodge will set you back a modest $20.95. In addition to a Dutch oven, another necessary piece of equipment is a portable, collapsing campfire cooking grate. An item search for “medium campfire cooking grate” on the brandsonsale.com’s website will reveal a very nice cooking grate listed at $30.99 plus the applicable sales tax and shipping charges. 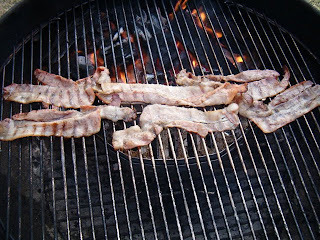 A sturdy grate will not only allow you to grill over your fire but will also provide a much needed platform for items such as your Dutch oven, a skillet, or a simple pot of coffee. Lastly, a few other basic implements, which you may already have in your home or kitchen drawer, would be an ordinary garden shovel which comes in handy for moving around hot coals, positioning burning logs, and for extinguishing the fire once you are all done. Finally, a good set of utensils with long handles such as tongs, spoons and a good sized ladle are also nice tools to have at the ready. As a final safety note, remember to always practice safety when cooking with fire and have an extinguisher or even a big bucket of water on hand in case you need it. So with the holidays approaching, get out there and get yourself or a loved one on the way toward primal cooking perfection. In the holiday spirit, here’s to some smoke in your eyes and new outdoor cookware under your tree. Cheers and Happy Holidays! What can I say.....Just eat it! 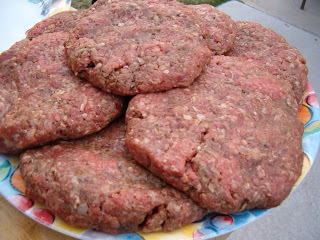 Make the patties right..........BIG and THICK! On the grill...onions and asparagus. Kaiser rolls, Polish sausage and BACON!!! Topped with Cheddar and Pepper Jack cheese. 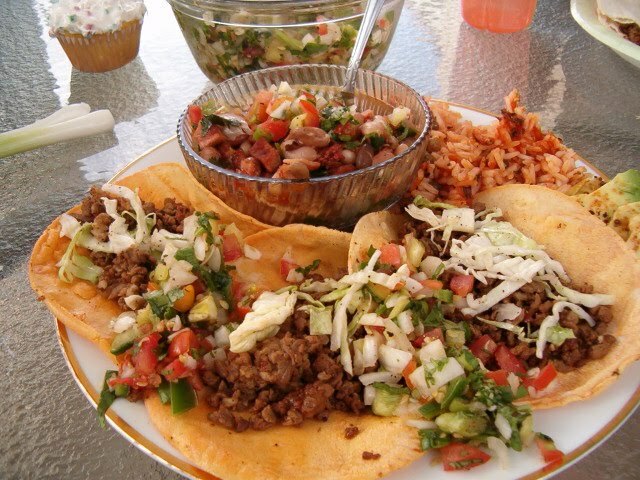 Assemble and put it in your mouth. CHEW. Feel your arteries clog and harden. Enjoy burger nirvana! A backyard griller and smoker with a passion for food.